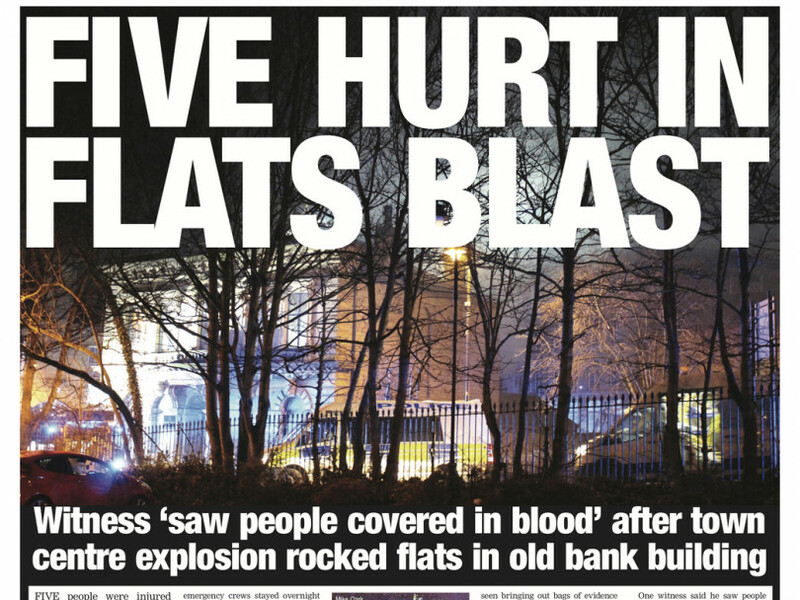 Grab a copy of this week's Press to read the latest as five people were injured after an explosion rocked flats in the heart of Batley. We've also got news of a Dewsbury man who has admitted driving into serving soldier Joshua Adams-Mitchell outside a Batley nightclub on New Year's Day. Hamza Ali Hussain will be sentenced next month. Read how you might be affected by cuts to bus services in North Kirklees, plus Kirklees Council's massive planning blueprint has been approved by a government planning inspector. Two pensioners who died in a car crash in Cleckheaton this week have been named locally. And grieving relatives visiting the graves of loved ones at a Birstall church say they are tired of regularly having to step around dog mess. In sport, we hear from coach Lee Greenwood as Dewsbury Rams finally get their season started this weekend, with York the opposition at home following last week's postponement. Batley Bulldogs boss Matt Diskin was less than pleased after his side's opening loss to Barrow, and he has threatened to ring the changes for this week's trip to Featherstone. The Challenge Cup second round takes place this weekend, and we hear from both Dewsbury Moor's Danny Maun and Thornhill Trojans' James Ratcliffe ahead of their ties. Ossett United progressed to the West Riding County Cup final with a superb 4-1 win over FC Halifax Town in midweek, and we have a full report along with reaction from manager Andy Welsh. There's also news of more success for Cleckheaton diver Lois Toulson, who took home gold from the National Diving Championships last week.